Front row: LCol Gibson, LCol Haylock, LCol McKenna, LCol MacGillivary. Middle row: LCol Brazill, LCol Downs. 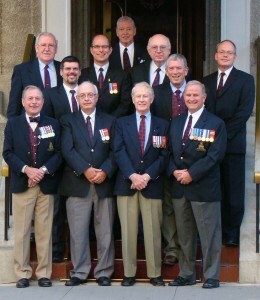 Upper row: LCol Mowatt, LCol Mikkola, LCol MacDonald, LCol Sherman. Top: LCol Hubel. HCol LGen Simonds laying wreath at Stanley Barracks. 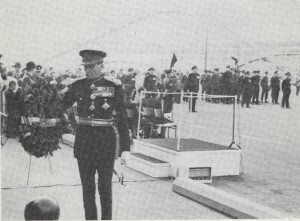 Remembrance Day 1965.